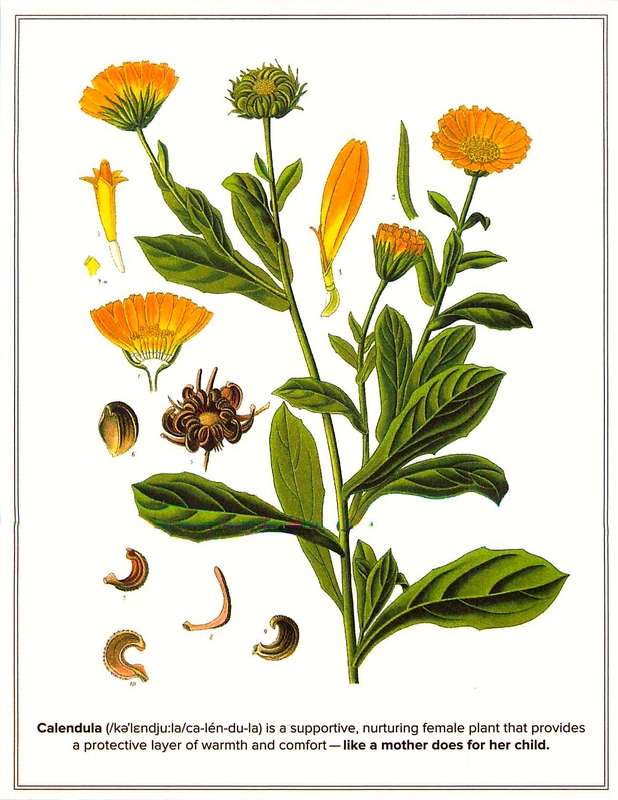 Calendula is a plant with healing properties and is made into a first aid ointment to heal dry skin, chapped lips, scrapes and diaper rash. One of the reasons why it is so wonderful is that it is gentle enough to use on baby’s skin but is effective enough to us on any member of the household. 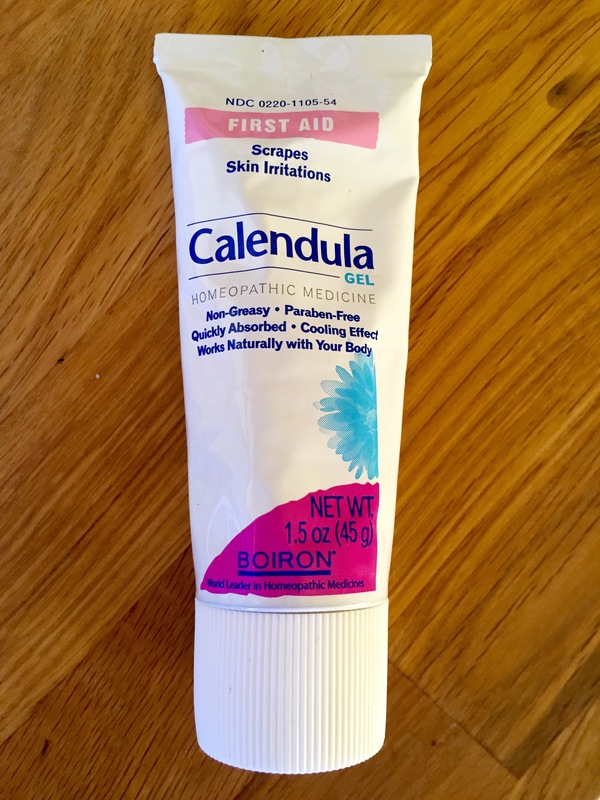 Boiron, the leading manufacturer for homeopathic preparations and remedies, makes a topical Calendula First Aid ointment. This is used for healing scrapes, cuts, minor burns, diaper rash and chapped skin– naturally! Baby scratched my face recently and I applied our first aid ointment to the affected area. The skin became a brighter red on the area where the ointment was applied and then soon after all of the redness, including the area where the scrape was, returned to a normal hue. A tiny scab appeared and then fell off making the total healing time of the scrape two days. 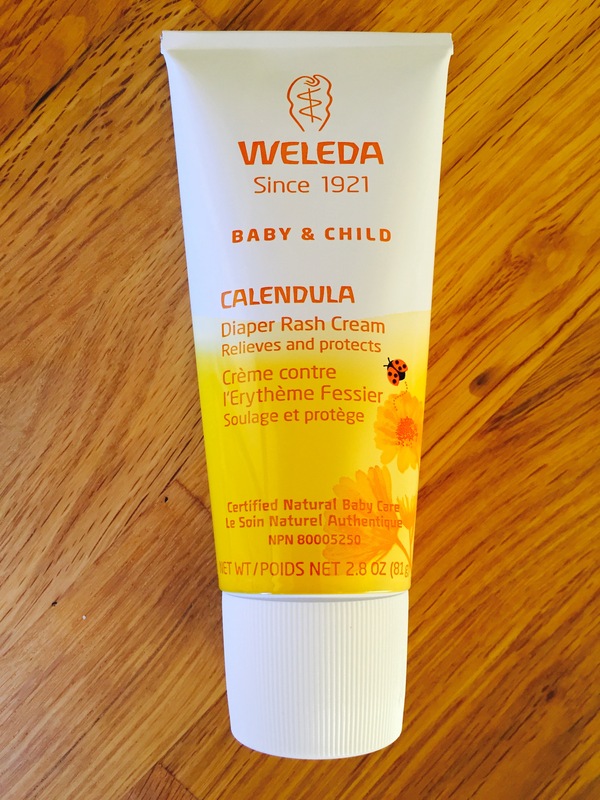 Weleda skincare has a line of calendula products just for baby. These products are gentle and effective in preventing and protecting baby’s skin as well as healing if a diaper rash does occur. We apply Weleda Baby & Child Calendula diaper rash cream with each diaper change. The thick, oily consistency is designed to create a protective barrier on baby’s sensitive skin making it ideal for everyday diapering use and the prevention and healing of diaper rash. So far, this product has worked to prevent diaper rash for our baby since birth. The cream is all natural and smells divine. When baby does get an irritation on her skin it clears it up very quickly. Another favorite of ours from this line is the Weleda Shampoo & Body Wash as well as the Calendula Body Lotion. Both are wonderful additions to a natural bath routine. And I will say that a little goes a long way. We use the shampoo and body wash with our Under the Nile organic cotton wash cloths & our Viverano hooded organic cotton towel for a soft and gentle bathing experience.